Two new efficient diesel engines are now available in the Mercedes-Benz A-Class. 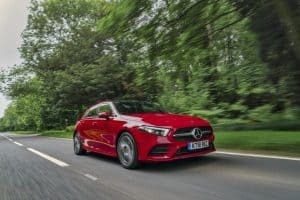 The A 200 d Sport and the A 220 d AMG Line have been tested to new RDE-2 standards, which means Mercedes-Benz is among the first to offer RDE-2-compliant diesel engines in the UK. These engines will also feature in the new B-Class when it goes on sale in December. Priced at £28,805, the A 200 d is the more economical of the two new additions. It is powered by a two-litre diesel engine with an output of 148bhp and 320 Nm of torque. On the combined cycle, it delivers up to 67.3 mpg, emitting 110 g/km of CO2, and given a straight road, it can get from zero to 62mph in 8.1 seconds with an electronically limited top speed of 137mph. Meanwhile, the A 220 d (£30,005) also uses a two-litre diesel engine, but it has been tuned to churn out 187bhp and 400 Nm of torque. Running costs are still impressive, reaching 65.7mpg at 114 g/km CO2 combined, while 0-62mph is doable in seven seconds. Speed peaks at 146mph. Both engines come standard with an 8G-DCT eight-speed automatic transmission.